Create a leadership development plan for yourself and encourage those around you to do the same. Set a goal (and commit) to spend a specific amount of time each week on professional development. This could be a fixed number of hours or a percentage of your time. Don’t worry if you can’t get to where you want to go tomorrow. At a minimum, commit to work toward your goal now. Determine what topic(s) you will spend time on. You likely have a keen interest in a few topics or you know what areas you want to improve so identify them. Determine the best way you learn. Which format works well for you? Leadership workshops, seminars, books, videos, newsletters, webinars, internet research, mentors, blogs, role playing, or podcasts. Stay prioritized and disciplined. With so many leadership topics and delivery methods available, it’s important to find the discipline to be laser-focused on what you want to learn before moving on. Re-evaluate your plan every 90 days. Your priorities and needs will naturally change, so re-evaluate the four steps stated here on a regular basis. Announcement: In the spirit of the two top “leadership and learning” messages noted above, I’m excited to announce that we have launched The Leadership and Learning Podcast series. 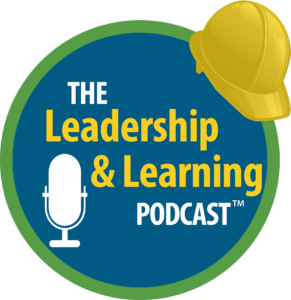 Every week, we provide 10- to 60-minute segments of leadership lessons, strategies, techniques, and tips from Building Materials Industry leaders, legends, and subject matter experts. Our complimentary podcasts are available for download on iTunes, Sound Cloud, Spotify, and other popular podcast platforms. When you listen, you’ll learn lessons that lead you toward becoming a more effective leader in any industry. Please check out The Leadership and Learning Podcast on iTunes, Sound Cloud, Spotify. I love leadership and I love learning; I hope you do, too.